Clean lines and smart topstitching work together to create the understated appeal of the Katie bib. 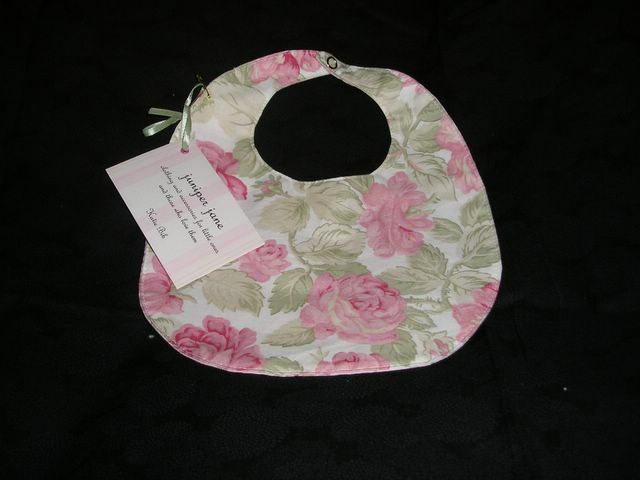 100% cotton fabric makes this bib easy to care for and soft against baby's skin. The Katie bib is reversible and lightweight, making it the perfect bib for babies on the go. Toss a few in your diaper bag and your baby will be cute (and clean!) no matter what- at home and on the road!